The Keyhole: Peeking at 21st Century Brands: MLB’s Most (& Least) Loyal Fans. The Dynamics of Root, Root, Rooting For the Home Team. MLB’s Most (& Least) Loyal Fans. The Dynamics of Root, Root, Rooting For the Home Team. 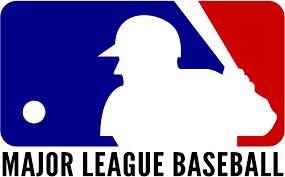 The Major League Baseball season opened this week with the cry “play ball,” accompanied by the release of the 24th annual fan survey conducted by Brand Keys, the New York City-based market research firm specializing in brand loyalty and consumer emotional engagement modeling. It was Yogi Berra who said, “If the fans don’t want to come out to the ballpark, no one can stop them,” and though teams may not be able to manage that aspect of the game, they can manage fan loyalty. Our annual survey – interviews with 250 self-declared fans in each of the 30 team’s local markets – was designed to help sports teams identify precise fan loyalty metrics in their home and national markets. Those metrics correlate very, very highly with TV viewership and purchase of licensed merchandise. Oh, and the survey is more than just gate counts and win-loss ratios, but real insights that enable both league and teams identify areas – particularly emotional aspects of loyalty – that need strategic brand coaching. The 2016 MLB top 5 and bottom 5 team standings are listed below. Numbers in parentheses represent the teams’ 2015 loyalty rankings. How well they play as a team? Offensively or defensively, one or the other, sometimes both. Sometimes a new stadium or new manager can help lift loyalty when it comes to this driver. Are the players particularly respected and admired on and off the baseball diamond? Is the game and team part of fans' and community rituals, institutions, and beliefs? No matter how you feel about them, the Yankees (#9, down from #7 last year) have the highest rating when it comes to this driver and, for what it’s worth, it’s what kept the Cubs going for years! Because overall league and team rankings correlate very highly with game viewership and merchandise sales, and since rankings can be influenced depending upon how loyalty drivers are managed, it's critical that team marketers do accurate scouting regarding the strategic ball they intend to pitch to fans. All teams benefit from increased fan loyalty levels, particularly baseball teams. There’s a reason it’s called America's “National Pastime.” Teams need to create strong emotional connections if they want to succeed with their fans. Former San Francisco Giants third baseman, Al Gallagher, may have expressed baseball’s emotional bond best. “There are three things in my life which I really love: God, my family, and baseball. The only problem is once baseball season starts, I change the order around a bit.” Which is why teams need to track fan loyalty with emotional metrics because those are the most meaningful values of all. As to other major league sports leagues, Brand Keys will be issuing rankings for the NBA before playoffs, the NHL for the Stanley Cup, and NFL rankings in time for the season kickoff in September.